Most people over the age of 50 have heard that line, followed by the tune Folsom Prison Blues…as that is how Johnny would open his shows. Whether or not a person is a country music fan, they most likely know a song or two by the performer. The Man in Black, so named for his trademark clothing shade, had a career that spanned six decades. He sold over 90 million records during that period. 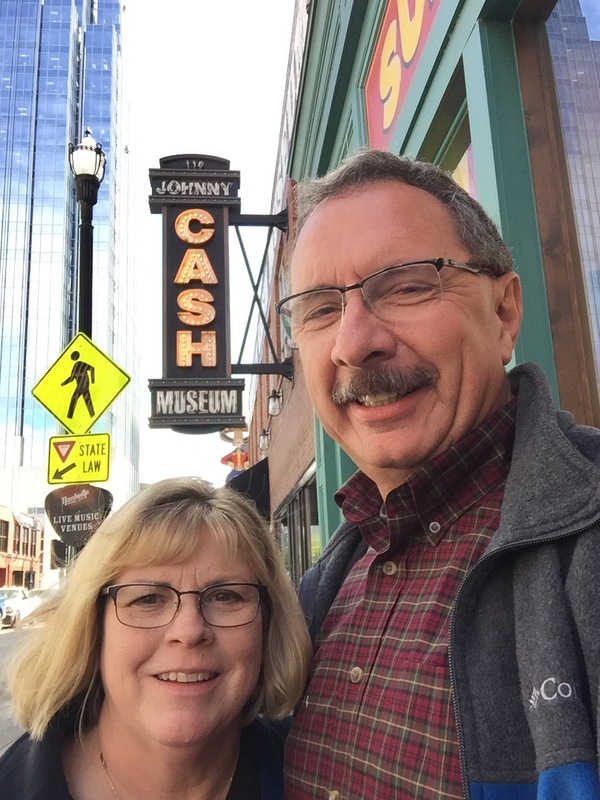 When we met up with our friends Jodee and Bill last year in Nashville, they had just visited the Johnny Cash Museum. Bill Miller, a former resident of the same small town in California where Jodee and Bill grew up, had recently opened the attraction. 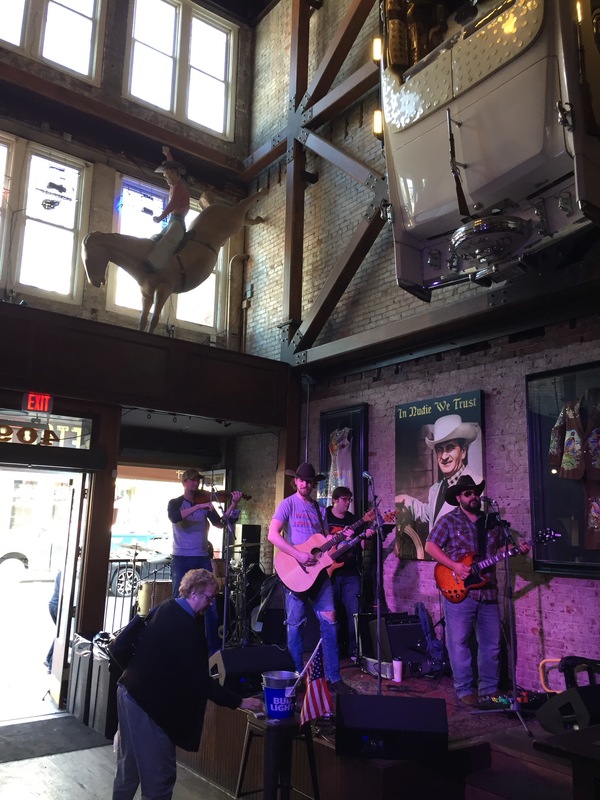 Bill Miller’s son had also opened Nudie’s Honky Tonk. The bar is a tribute to Nudie Cohn…the tailor who specialized in the rhinestone-covered suits that country stars so often wore. We checked out Nudie’s and the Country Music Hall of Fame with Jodee, but missed seeing the museum. With that in mind, we set out to see the tribute to Cash this year. 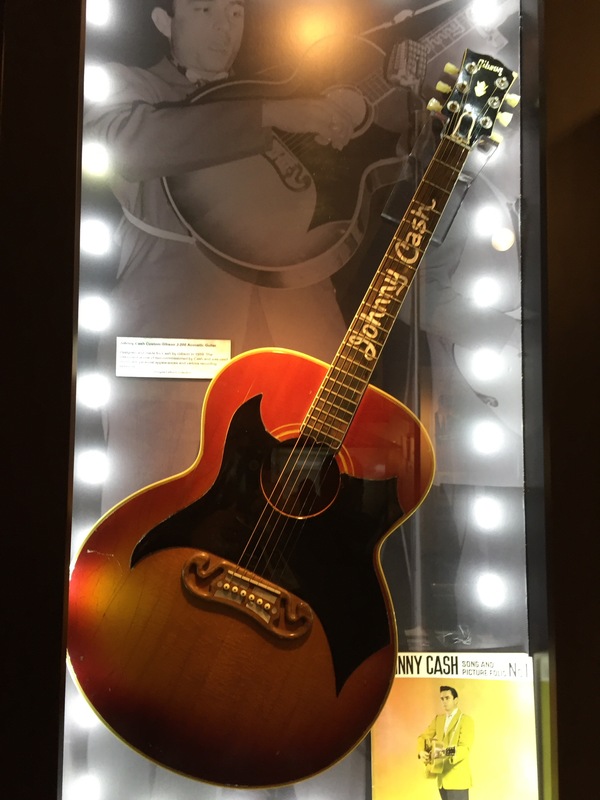 Located just off of Broadway, the Johnny Cash Museum is one of the most popular attractions in Nashville. Not long after it opened, Miller debuted the Patsy Cline Museum on the second floor of the building. Just yesterday…on the 50th anniversary of the release of the song Sing Me Back Home, Rolling Stone Magazine announced that Bill and his wife were opening the Merle Haggard Museum next door. Needless to say, this is fast becoming a popular spot! We learned that Cash was given the name J.R. by his parents. When he was in the service, the Air Force told him he had to have a full name, so he chose John. He was a Morse Code Intercept Operator assigned to monitor the Soviets, and was the first person in the west to learn of Joseph Stalin’s death. Prior to the service, he worked for a whole two weeks in an auto plant in Pontiac, Michigan. Sure glad that job didn’t pan out! Once out of the service, he began his musical career, quickly finding his way to the top of the charts. The museum walks the visitor through his career in chronological order, with many interesting artifacts from his life, including this Gibson guitar, which was made in Kalamazoo, Michigan. All of the good and bad aspects of his life are presented, though the focus is more toward the positive. There are several videos that show the entertainer along the way, which we really enjoyed. This orange duster and the Guild guitar featured on the cover of Rolling Stone were gifted to Bill Miller by Cash, as a token of the friendship they had built up over the years. Bill visited Johnny just 6 days before the singer’s death. From there, we walked up Broadway a couple of blocks to Nudie’s. We enjoyed lunch and a drink at the longest bar in Nashville! When one of the band members came around with the tip jar, he asked if we had any requests. Our choice of the Johnny Cash tune Ring of Fire was played for the second time that day, another tribute to his continued popularity. 😊 We once sang a “spectacular” version of this song, led by our friend Mike, while in a traffic jam after the fireworks in Traverse City…windows rolled down, of course! If you make it to Nashville, be sure to check out the Johnny Cash Museum and Nudie’s Honky Tonk. It’s a fun way to spend an afternoon! Search for all things Johnny Cash here on our exploRVistas Amazon link! Just saw a great show on Johnny, Waylon, Kristopherson and Willie (The Highwaymen) on PBS the other day. Individually they made a huge impact on so many rock ‘n rollers it’s really amazing. Still enjoy singing to A Boy Named Sue! We’re in Arkansas right now near Little Rock and finding how much the blues influence around here reached all over the world! Who knew?? We’re going to be headed that way towards the end of November. That bar looks like fun… thanks for the tip! Definitely look up my post from last year through the link about Nudie’s. It is amazing! Bonnie & I were just outside of Nashville two yrs ago when her mother took ill and we had to go back to NY. So Nashville is still on our list of places to visit. I enjoyed Johnny Cash as a kid. He was my mother’s favorite music entertainer. His songs were always playing in our house back on the farm in upstate New York. 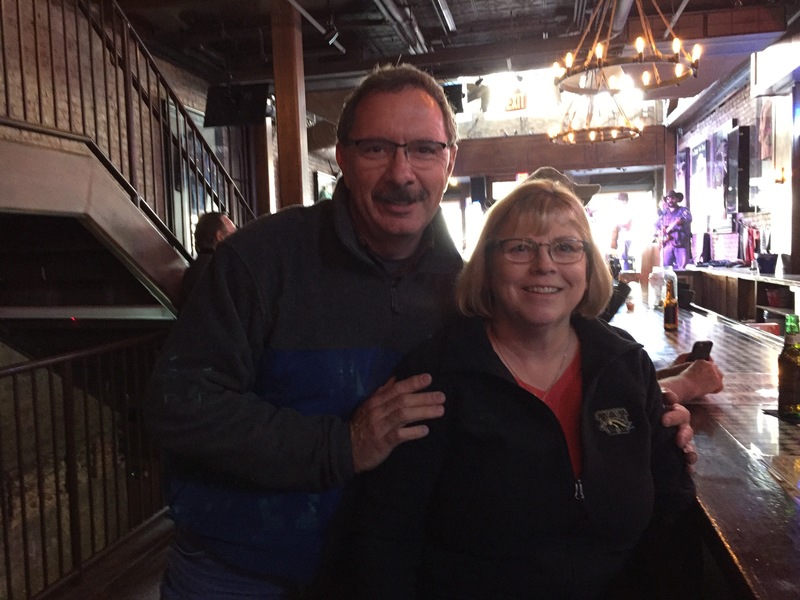 Thanks for sharing your photos and time at the museum Jim & Diana!!! I guess it is time for a return to Nashville! 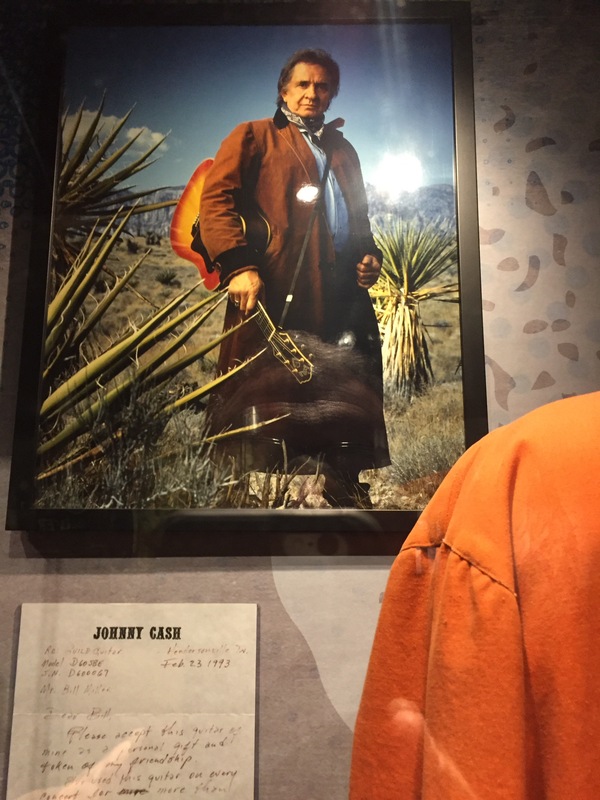 We would enjoy visiting the Johnny Cash Museum. We really enjoy Nashville and all the music all day. Looking back at Jodee’s post, I noticed you had recommended the Orchid Lounge to her. We saw it on our way by the Ryman and will put it on our list for a future trip, Pam. What a great town! The live music is just fantastic! I still remember singing the Ring of Fire after the fireworks too! As a matter of fact I would sing lots of Johnny’s songs as a kid driving tractor out in the melon patch on our family farm. I won first place in a grade school talent show pantomining Folsom Prison Blues. I was dressed in black & had boots & guitar. I received a standing ovation for my performance! One of our favorite artists we have several of his CD’s. He is one of the few artists that reaches across generations lines and even reach many of the younger listeners. So cool that you were able to stop there. I was surprised to find out that he was the only artist to be on the Billboard charts for six consecutive decades, Jim! Now if only he’d picked the name Jim instead of John….